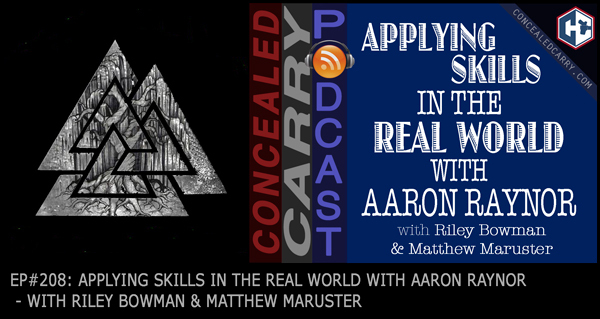 In this episode, Riley and Matthew discuss some deep stuff together with Aaron Raynor of Savage Combatives like which skills or techniques are difficult to train on the range because it's different in real-world application. Plus we touch on deadly force law, difficulties that law enforcement officers (and regular citizens) face in today's world, and the importance of articulation in a deadly force incident. Aaron is a retired Marine, a federal law enforcement officer, executive protection specialist and the current lead instructor for Savage Combatives. Should make for a lively discussion, so join in, chime in with your thoughts and questions!